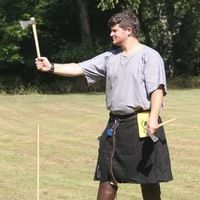 Lord Allaster del Blair attended his first event Southern Region War Camp in 2014, his third event Ghosts, Ghouls, & Goblins in 2015 he won the honor of becoming Baronial Thrown Weapons Champion. 15th Century Scottish privateer hailing from the Scottish Lowlands. 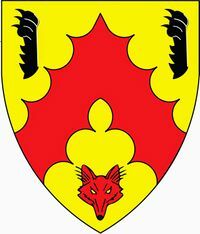 Preferred illuminated images/themes include Axes, Foxes, and Celtic knotwork. Please NO Christian symbolism, Saint's Days, or dragons. This page was last edited on 4 April 2019, at 21:03.